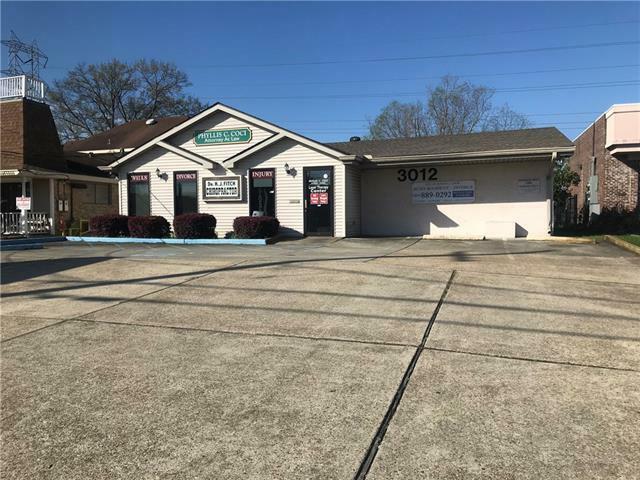 Remodeled after Katrina, spacious office and exam rooms plus confrenence/breakroom, ceramic tile floors throughout, 2 half baths plus commercial signs in sale, alarm system, exlarge lot. 55x144. See sketch of rooms-10 rooms presently used as atty. office & chiropractor. Listing provided courtesy of Nina R Loup of Gardner, Realtors.